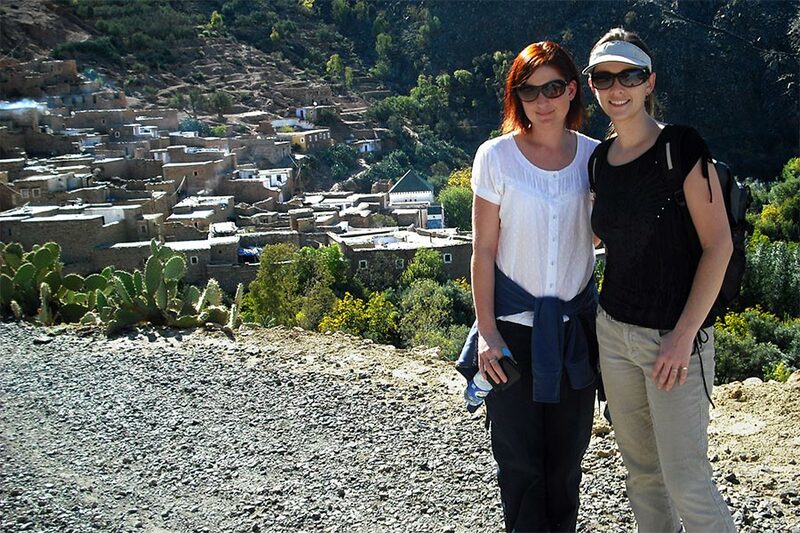 The perfect one-day trip from Marrakech, this is our most popular excursion. Leave the city in the morning and get back by the early evening, enjoying a day of physical beauty and cultural connection. This day-long excursion, like all our excursions, provides the opportunity to encounter Moroccan village life firsthand as you make your way to the home of a Berber family in the High Atlas mountains. 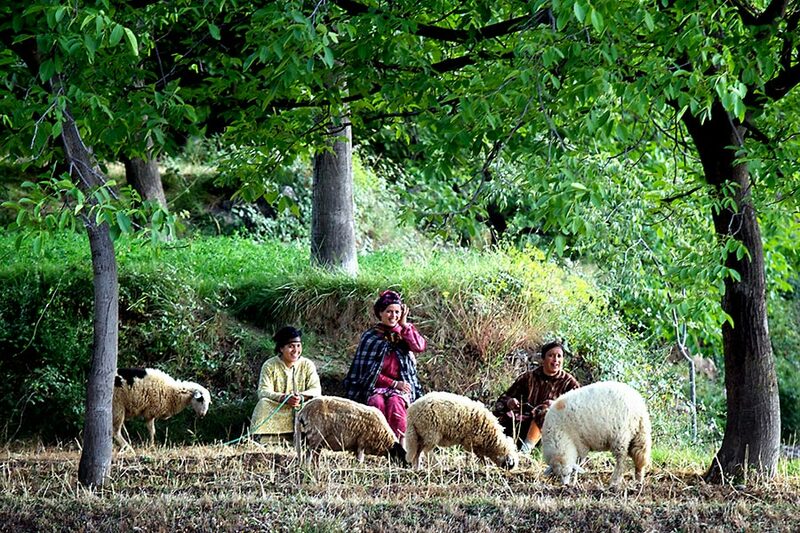 The rural, scenic walking is a welcome contrast to the hectic atmosphere of Moroccan cities (see our photo gallery). After spending the afternoon enjoying a meal and experiencing village life, you'll have a good sense of the beauty and hospitality of Morocco's indigenous people. With transport available from Marrakech (see our transport page), this makes the perfect day trip. Depending on your fitness level, we offer three different one day excursions. The first includes about 5-6 hours of walking, the second includes 3-4 hours of walking, and the third includes very little walking, visiting a local village accessible by taxi. 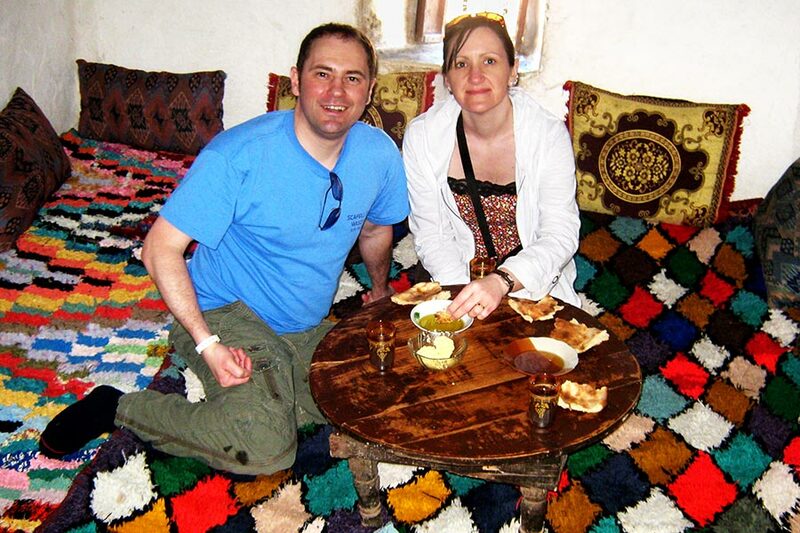 All three include lunch with a Berber family and the chance to see Berber village life firsthand. All of the villages listed below can be found on our villages map. Responses to frequently asked questions are given below. This excursion includes about 5-6 hours of scenic hiking, starting in Amizmiz (altitude 1000 meters) and ending in the village of Sllamt (altitude 1250 m). 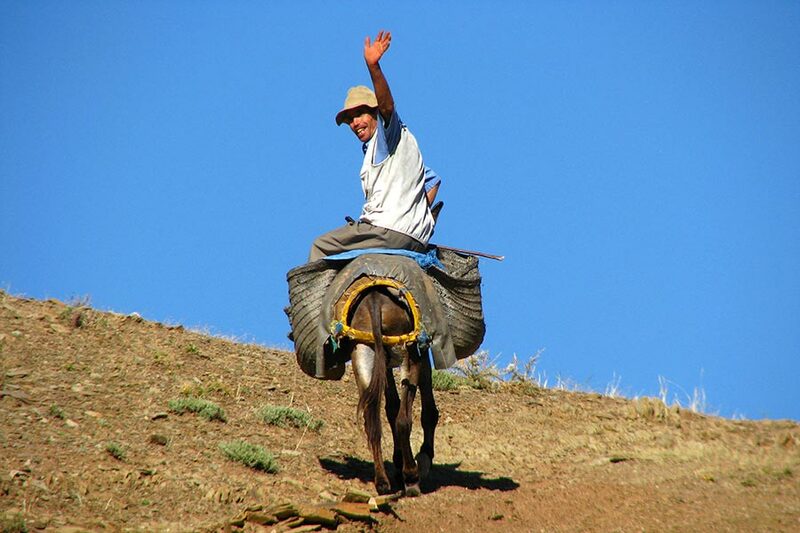 As a result, you’ll see a good amount of the geography of the High Atlas mountains in which the Berbers live. The following itinerary is our standard one, but on occasion we adjust it if the weather is extremely hot or if we had late notice for your visit. 8:30 am Depart from Marrakech. 9:30 am Arrive in Amizmiz, get prepared, and begin the hike. After about an hour of incline we reach the village of Tafgart. 10:45 am Tea break in Tafgart village at the home of a Berber family. After the break, we continue hiking, crossing a couple of inclined hills and passing near the village of Ait Ahmed. We then move downhill to the village of Sllamt. 1:15 pm Arrive in Sllamt, see village, and have lunch at the home of a local Berber family. 3:15 pm Depart Sllamt. The route back from here is mostly easy, either downhill or flat. We see across from our trail the beautiful villages of Tizgui and Ait Ouskri. Finally, we pass through Sidi Hssain village. 5:00 pm Arrive in Amizmiz, and depart for Marrakech. 6:00 pm Arrive in Marrakech. This itinerary has approximately 3-4 hours of walking involved. 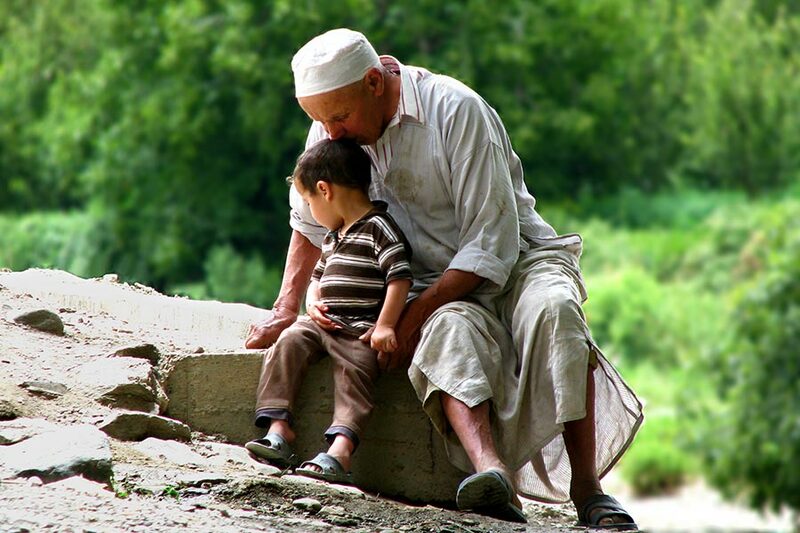 You will still get the chance, however, to remove yourself from any sense of urban life, visiting the beautiful village of Sidi Hssain, named after a local saint whose tomb in the village is a pilgrimage site to people from all parts of Morocco. Once a year this village hosts one of the biggest festivals in the area. 10:00 am Arrive in Amizmiz, get ready for the walk, and then start the hike. There is about an hour of slightly inclined road. A donkey can be booked for those that require it, including children. 11:00 am Tea break in Tafgart village at the home of a Berber family. After the break we head towards the village of Sidi Hssain. 1:00 pm Arrive in Sidi Hssain, see the village, and have lunch at the home of a Berber family. 3:00 pm After a long break and lunch we depart from Sidi Hassain and return on a different road passing by the villages of Tamazirt and Takouit. Easy walking. 4:00 pm Arrive in Amizmiz, and depart for Marrakech. 5:00 pm Arrive in Marrakech. This excursion is perfect for those who want to experience Berber village life with the option of deciding how much walking is involved. 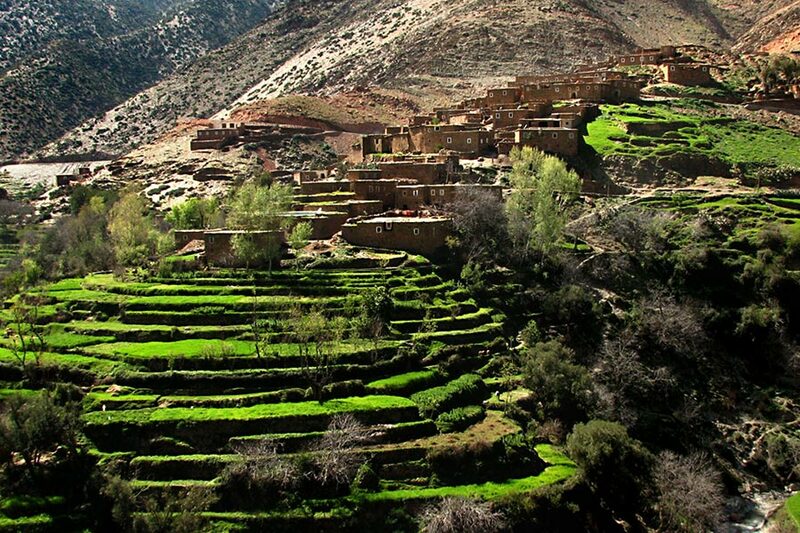 Visitors will be brought, by taxi, to a local Berber village accessible by road. There, they can decide how much walking they would like to do within the village or just outside of it. 9:45 AM Depart from Marrakech. 10:45 AM Arrive in Amizmiz. Drive 15 minutes to the local village of Tafgart. 11:00 AM Arrive at village and have morning tea with a local family, then walk around the village with an option to walk a bit to see other nearby areas. 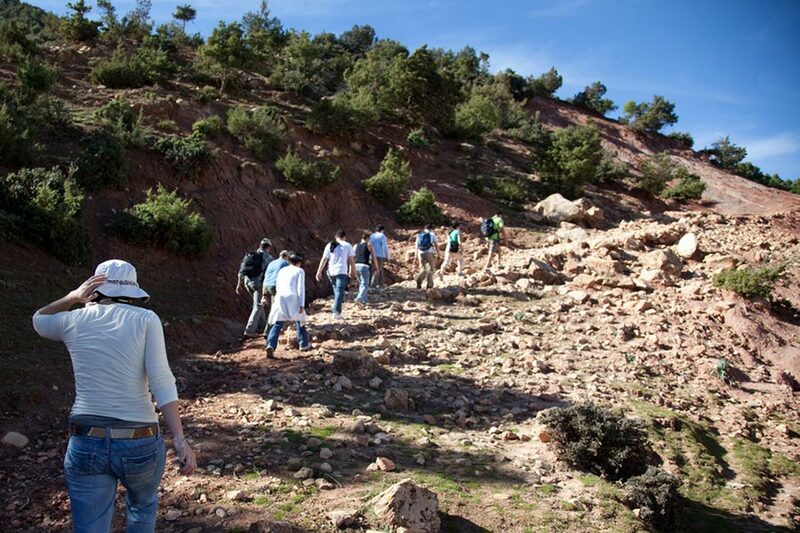 12:30 PM Depart Tafgart on foot and walk down to the village of Sidi Hssain. 1:30 PM Have lunch in Sidi Hssain with a local family, with an option to walk afterwards for a few minutes in the village. 3:30 PM Depart from Sidi Hssain to Amizmiz by taxi. 4:00 PM Arrive in Amizmiz; depart for Marrakech. We know our excursions are different from those of other companies, so we recognize you may have some questions. If you have a question that isn't answered below, please contact us and we’ll get back to you soon. You will also need a backpack for the hike out to the villages. It does not need to be a large, professional pack – just large enough to carry your water for the day and any personal items you want to have with you. It is also necessary to have sunblock cream for skin protection and probably a hat and sunglasses – all of which will make your time in the sun much more comfortable. 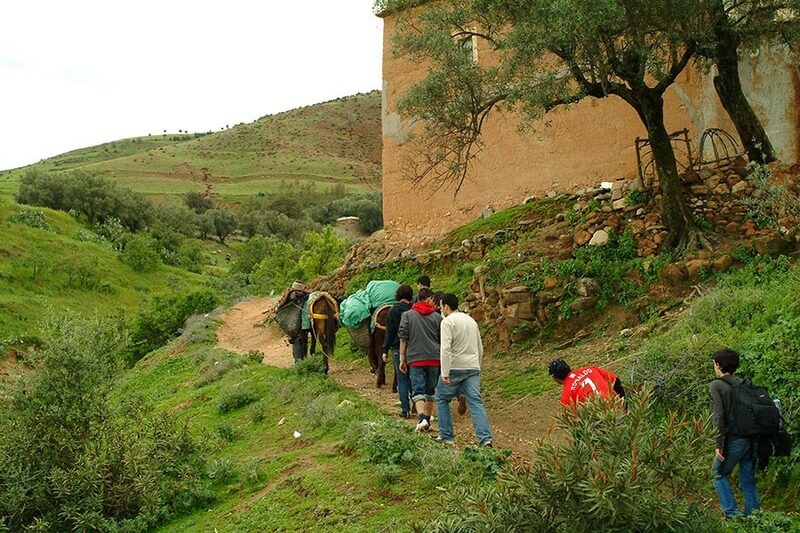 To hike out to the Berber villages, we’ll be taking established trails/roads used by locals. The hike will not include any “mountain climbing,” but you will need to be in good physical condition nevertheless. The “moderate walking” itinerary includes 3-4 hours of moderate walking with some slightly inclined trails. The “heavy walking” itinerary includes 5-6 hours of walking including some steeper “hiking” trails. If you ever need a break, let your guide know…no problem! Your guide will have a basic first aid kit, but there won’t be oral medications in it. So if there is something you think you might need (ibuprofen, acetaminophen, allergy pills, etc. ), please bring it with you. Lunch will be provided for you during the excursion. You should consider having a good breakfast the morning of the excursion, however. The actual meal will depend upon the host family we’ll visit. Major meals like a “tajine” normally include meat and vegetables and often bread. For these types of meals, you will need to eat using the bread—we’ll show you how. Couscous with vegetables and meat is often eaten with spoons. Vegetarians should let us know ahead of time whether they are okay eating vegetables cooked in the same dish with meat; if not, we’ll need to make arrangements for separate, strictly vegetarian meals. We’ll have bottled water for drinking. You will need to carry your water for the day, so have a backpack with you. If this is a concern, let us know ahead of time so we can discuss other possibilities. Will I Have Access to a Toilet?